Super Bowl Prediction: This activity comes from Kid Zone. Kids draw both teams' jerseys or you could have them design new ones! Who do they think will win? Why do they think that team will win (just a guess, past experience, they like their uniform, statistics, etc.). Click here for the original activity! Kids estimate, tally, and graph! 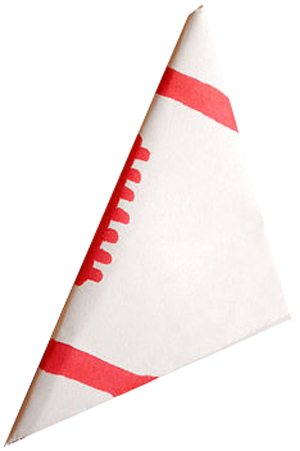 Paper Football Measuring Competition: Have kids construct a paper football and measure the distance they can flick it. Whose went the farthest? What's the best way to flick it? Visit wikihow for instructions on how to make a paper football (featured left)! Visit BCPS to see how to incorporate addition or multiplication skills. Team Geography - Locate the teams on a map! Create a Commercial - Give students 1 minute to persuade their classmates to buy a product they made up! They must create visuals and possibly a jingle! Halftime Planner - If students were in charge of the halftime show, who would they invite to perform? 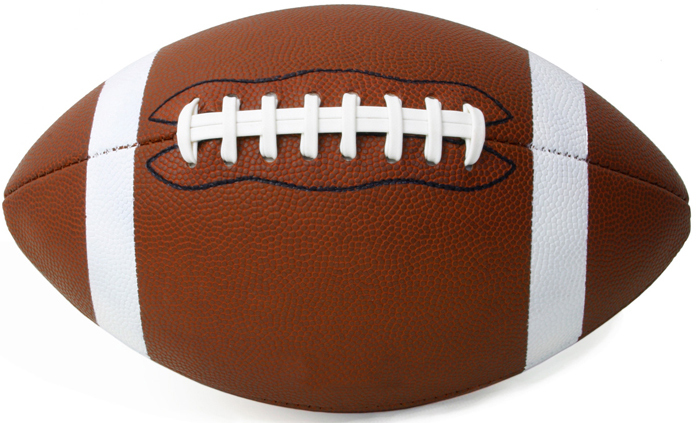 Place a football in the freezer, one in water, and keep one dry. Throw the footballs and see if temperature affects the distance! "How would a coach prepare his team for bad weather?" Visit Teach Hub for more fun activities! Recipe for a Snack - Ask students what they would serve at a Super Bowl Party. Have them write a recipe for their treat. Super Bowl Scavenger Hunt - Kids try to find things during the game, such as "Which quarterback had the most passing yards?" Visit Illuminations for a free printable! Also, check out their analyzing scores activity! 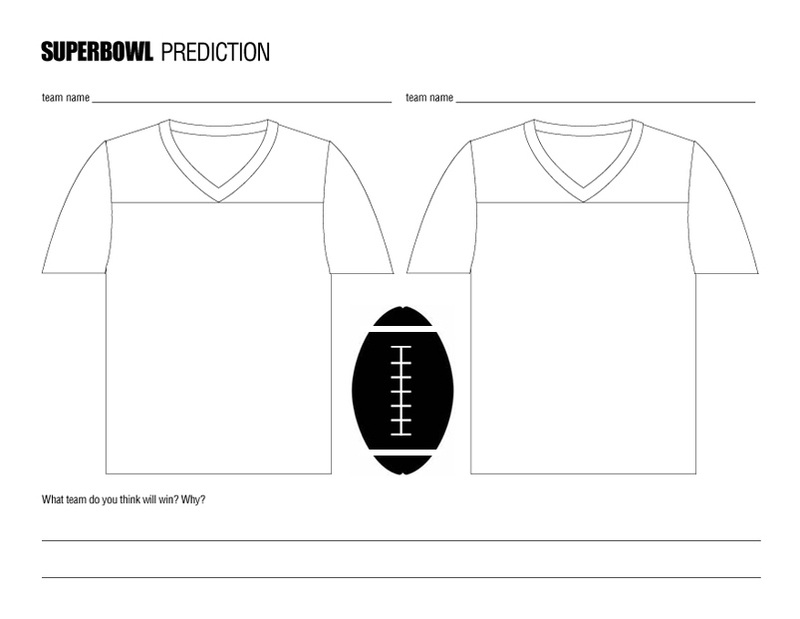 Super Bowl Pool - Free printable from Teach Hub! Students estimate the sum of the final scores while watching the game!